The changing face of one of Chesterfield’s most iconic nightspots is remembered in two newly re-published books. 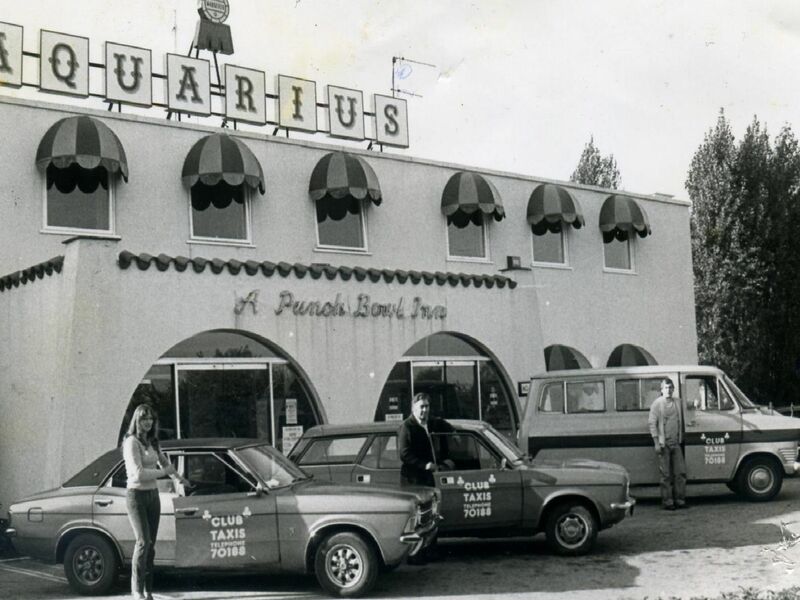 The legendary Aquarius, which hosted names like Bob Monkhouse and Marti Caine is the cover star of both the republished ‘Dirty Stop Out’s Guide to 1970s Chesterfield’ and the ‘Dirty Stop Out’s Guide to 1980s Chesterfield’. The books are available from www.dirtystopouts.com at £13.95 each. The Sheffield Road venue first opened in the early 1970s as a cabaret club and played host to some of the biggest stars of the era. Huge names from the world of entertainment, like Bob Monkhouse, packed in the crowds at the Acka. By the 1980s, it was as popular for its nightclub, with coaches turning up from right around the region.